Tagged with " fort lauderdale florida"
Fort Lauderdale is known internationally for its stunning beaches, there are still so many more things to see. Once known as a spring break destination, Fort Lauderdale has emerged as the perfect family-oriented year-around vacation hot spot. Here we can show you few things to must see in Fort Lauderdale Florida. The Seminole Hard Rock Hotel & Casino in Hollywood, Florida, just west of Downtown Fort Lauderdale, sizzles every night of the week. This is the place where people flock for classic entertainment, the finest dining venues, unique shopping, a superb hotel, and perhaps a little hope that their dreams will come true in this internationally-known entertainment powerhouse. While it is true that most people come for the glittering casinos and a chance at the big winnings, there’s even more exciting things to do here, just ask any of the locals. 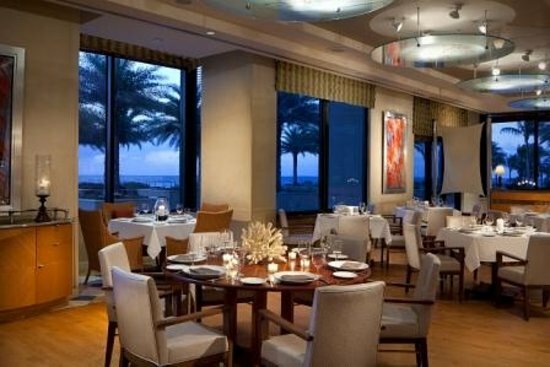 Residing at the beautiful Marriott Harbor Beach Resort and Spa, 3030 Ocean in Fort Lauderdale is a clear departure from the stereotypical seafood room, as this restaurant’s interior is cloaked in rich colors and classy dark woods. The menu changes frequently and emphasizes organic ingredients. Starters such as watermelon and French feta salad complement the raw bar, and main course offerings might include grilled pompano on wild arugula salad with passion fruit vinaigrette or tempura tuna with sweet rice, pickled cucumber and sesame chili sauce. No question about it, this enchanting local favorite waterfront steakhouse exudes luxury. Located in the Hyatt, Grill 66 & Bar offers balcony dining that overlooks the Intracoastal Waterway. Available for the boating enthusiasts who want to arrive in style is a convenient 400 foot dock. The award-winning menu offers popular appetizers such as crispy shrimp and calamari, filet mignon carpaccio, and a charcuterie platter. 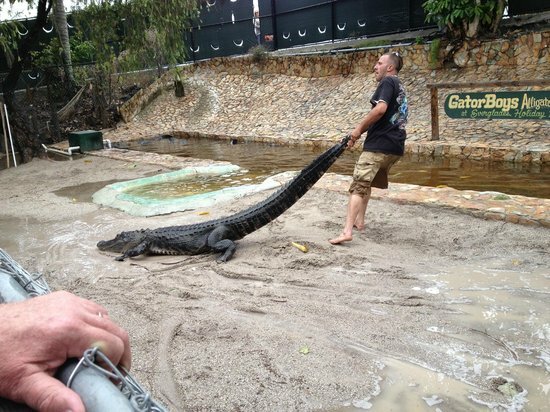 The whole family will be thrilled at this live experience where you can come face to tooth with grinning gators at this most raved-about family attraction in the magnificent Everglades. An easy drive west of Fort Lauderdale, you will climb aboard a state-of-the-art covered airboat and be learn from knowledgeable guides at the Everglades Holiday Park. Be entertained and educated while passengers delight in striking panoramic views of the Everglades, colorful exotic birds and, of course, enormous wild gators. For over 40 years Coral Ridge Mall in Fort Lauderdale has been a staple shopping center and the go-to place for locals and visitors alike. Just blocks from the very popular Fort Lauderdale Beach and easy to find at the crossroads of Oakland Park and Federal Highway, there is always a friendly crowd to mingle with and plenty of stores to browse. Coral Ridge Mall was constructed back when Fort Lauderdale was getting its footing as a true vacation getaway in the sun and a popular city to relocate for the best of the good life, and also at a time when shopping malls were a new thing and springing up across America, and it has never lost its luster. See! how amazing it is to must see and visit Fort Lauderdale. It should deserve a must visit. Good day!